The Galapagos Islands are made up of 18 main volcanic islands in an archipelago of Ecuador. These islands and the surrounding waters make up a national park and a biological marine reserve. The young naturalist Charles Darwin developed his theory of natural selection explaining evolution after researching the Galapagos Islands. These amazing islands are part of the ongoing series for finalists in the New 7 Wonders of the Nature competition. In 2007, UNESCO put the Galápagos Islands on the “List of World Heritage in Danger” due to the threats posed by invasive species, unbridled tourism and overfishing. 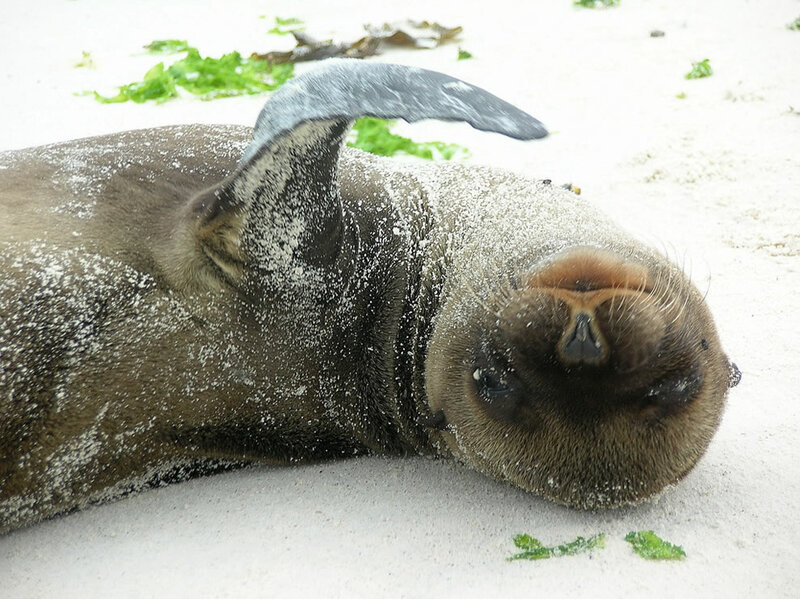 Time and again, poachers have come into the Galapagos National Park and slaughtered sea lions. However in July 2010, the World Heritage Committee removed the Galapagos Islands from the “endangered” list because significant progress had been made by Ecuador in addressing threats. Yet in July 2011, Ecuadorean authorities seized 357 dead sharks from a boat that was fishing illegally in the protected waters of the Galapagos Marine Reserve. Since the Galapagos Islands have 170,000 visitors each year, new regulations have been introduced to protect the unique wildlife. Starting February 1, 2012, these new tourism regulations will limit vessels visiting the same site to no more than once during a 14-day period which may impact on travelers planning to visit the beautiful islands. So what do you think? Should the Galapagos Islands become one of the new 7 Wonders of Nature?